Bat Survey and Planning Permission: what do I need to know? When is a bat survey required? Agricultural buildings of traditional or stone construction and/or with exposed beams. Includes Dutch barns/livestock buildings potentially depending on the initial survey results. Pre 1914 buildings with slate roofs and gable ends regardless of location. Pre 1914 buildings within 400m of water. Also, any building that is known to have bats present will require further work. You will only need to undertake a survey if there is a “reasonable likelihood’ of bats being present. “Within 400m of water”, what bodies of water does this include? This could be any body of water that may be suitable for bats to hunt over. Could be large ponds, pools, canals or rivers. Bats will naturally try to roost close to features that provide good foraging opportunities. Why does the local planning authority ask? Can I have a bat survey at any time of year? Yes – this is commonly referred to as a Preliminary Roost Assessment (PRA) and can be done any time of year. This involves assessing a building for suitability for bats and examining any evidence of bats such as droppings and feeding remains. This informs the need for further work or if suitability is poor, no further work. Presence of bird nests such as swallows or owls will also be taken into consideration at this stage. What does a bat survey involve? Following the PRA and if evidence of bats are found or the features of the building (or ‘structure’) appear suitable for bats then the next stage will be ‘activity surveys ‘ also called ’emergence and re-entry’. These will be carried out at dusk and/or dawn to determine the species of bats and how many are using the building. The activity surveys will need to be undertaken in the Summer months (ideally May to September in good weather). There will also be ‘desk-based’ element which will require the local biological record centre (LRC) to be contacted to provide all records of bat species in the area. There will be an additional cost for this. These will involve at least two people, depending on the size of the building watching areas of the building where bats are likely to emerge (dusk) and re-enter (dawn). Up to three of these will be needed to assist in determining the type of roost present and the species using them. It is important to note that 2 surveys carried out within the same 24 hour period constitute one survey. What should I look for when selecting someone to carry out the bat survey? You would need a suitably qualified consultant ecologist. Ideally, they should be a member of CIEEM (Chartered Institute of Ecologists and Environmental Managers) or IEMA (Institute of Environmental Management and Assessment). You can ask if they have the necessary survey licences (from either Natural Resources Wales or Natural England) to legally undertake the work required as more than likely some of the work will involve the disturbance of bats. The ecologist should also have experience in dealing with the LPA in question, without a licence the surveyor may be judged to be incompetent and so have their report disregarded by the local planning authority. It is always wise to seek several quotes since prices can vary. What is the typical cost of a bat survey? This varies considerably but expect to pay £500 for the initial PRA and report but if activity surveys are required plus a report with a mitigation plan then expect to pay a further £1000 depending on what is required and how many activity surveys are needed following the PRA. There will also be VAT to pay depending on if the ecologist is VAT registered. The LRC data search might cost up to £200. How long should I wait for the reports? This will vary and you should agree on this with the consultant ecologist but once all the surveys are complete a report could be completed in a few days depending on the ecologist’s workload. What documents do I need to send with my planning application? A Preliminary Roost Assessment and any further surveys recommended by the licensed ecologist (e.g. Presence/ Absence Survey and Roost Characterisation Survey). A site plan showing any mitigation and enhancements being offered for bats (e.g. bat box locations, bat loft locations with measurements and internal details). This might also include details on landscaping and use of insect friendly, native planting schemes, retention (or planting up) of trees and hedgerows. A lighting plan showing location and specification for any proposed lights on the site. The lighting plan should reflect the Bat Conservation Trust’s Bats and Lighting in the U.K. guidance. If bats are found, what happens next? Depending on the results of the survey(s), a European Protected Species Licence (EPSL) will be required. This will almost certainly be needed if bats are present and will be affected by the development. This will require an application to either NRW or NE. An ecologist will assist with this process and they aim to turn the application around in 30 days. You need planning permission to have been granted prior to applying for this licence. 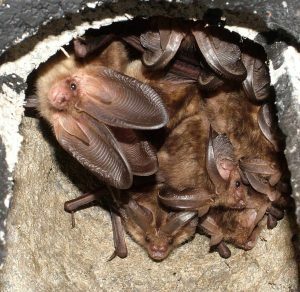 For a licence to be granted, a mitigation strategy will be required that could involve timings of works, installation of bat boxes (both external and internal) and/or creation of a bat loft for void-dwelling species (such as brown long-eared that require a space for warming up flights) or even a stand-alone ‘bat house’. Bat access roof tiles may also be incorporated into a new development as well as the use of certain types of roof felt. This exact nature of the strategy will be agreed with the local planning authority in the first instance and then submitted with the EPSL application. Minimalist measures may be an installation of a bat box or two where say, a single crevice dwelling bat such as a common pipistrelle was found during the surveys. In the mitigation strategy for my project, the ecologist has recommended bat boxes, integral bat brick, 2 or more raised ridge tiles and a bat loft. What should I do? It is important that you inform your architect of the details within the ecologist reports. Your architect should highlight the bat measures on the plans (which are to be submitted) and include the measurements and details of the bat access and internal arrangements. Please note that it is likely that you will need to carry out building works when bats are less active which is between October to March. I gained planning permission to convert a barn over 10 years ago, I did enough building works to secure the planning permission. I did not have bats when the permission was granted, do I need to consider bats before I recommence the building works on the barn conversion? The LPA will almost certainly ask for you to undertake a new full bat survey. The results of bat surveys only last two years and in some cases only one. I am planning to convert a barn under permitted development and I am not required to submit a full planning application, do I need to get a bat survey carried out? Yes as the ‘Prior approval’ criteria do not apply to ecology issues. Bats are a fully protected species, therefore, the process is as outlined above beginning with a PRA. My architect has mentioned that I cannot use a woven breather membrane and that I need to use bitumen type 1F felt, is this compulsory? This will undoubtedly have to be included in the mitigation plan and a condition of the licence. Bats have been known to become entangled in the more traditional woven membranes. 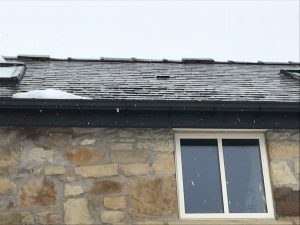 It’s worth bearing in mind that both Natural Resources Wales and Natural England might request an independent audit of the mitigation measures in situ which will include the use of type 1F roofing felt. The local planning authority has said “No development or demolition shall commence until a method statement to avoid bat disturbance have been submitted and approved by the Local Planning Authority.” What shall I do? Depending on the status of a bat roost and numbers of bats present together with the impact of the work required then it may be possible to carry out the work under a non-licensed method statement. This will involve steps and measures implemented by the developer often under the supervision of an ecologist. This can be prepared by your chosen ecologist. I want to apply for planning permission for a self-build project, I’ve heard some new builds have to place bat boxes in the garden. How do I know if I will need to do this? LPAs are increasingly asking for new build homes to include either bat and/or bird boxes in their design. It’s worth checking with your LPA. From a biodiversity aspect, external or integrated bat and bird boxes are an excellent way of providing roosting (bats) and nesting (birds) habitat in new developments. Often, there is still no legal requirement. I’m looking to purchase a barn for conversion with full planning permission. The planning documents include a mitigation strategy (bat loft and boxes). The bat survey was conducted over two years ago. If I purchase the barn, will I need to have any new surveys done before the commencement of conversion works? It is likely that the original bat survey will include a statement about what is required if there is a delayed period between the bat survey and commencement of works. Here is an example “If the period of time between this survey and commencement of development extends more than 12 months, then further surveys must be commissioned to ascertain any changes in protected wildlife usage before work commences.” It is recommended that you contact the LPA ecologist in the first instance to ascertain what they will require. The local planning authority has said that I need to install “Schwegler 1FS bat box”. Where can I purchase bat boxes? How much are they? Thank you to Stuart Thomas Ecological Associates for assisting in the creation of this article. Next Post Newt Survey and Planning Permission: what do I need to know?